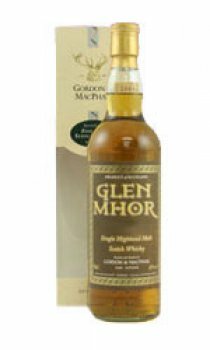 Tasting notes, undiluted: Nose: Sherried and dried fruits - figs and dates. Hint of cereal, malty aroma. Palate: Full - oily and smoky, herbal with floral notes. A sweet, rounding fruitiness - sherry and ripe fruits. Touch of dark chocolate. With water: Nose: Gorse and bracken, oiled wood and sweet aromas. Traces of camphor and phenolic notes. Palate: Smoky - charred oak, Christmas cake and baked fruit flavours, drying. Body: Rich, full flavoured. Finish:Dry, charred oak. Cask Type: Refill Sherry Butts. Style: Rich and smooth, a fine example of a sherry matured Highland Malt.